Every year, the best of the best in the NFL gather to put it all on the line for the chance to earn the title “Super Bowl Champion.” While most of us will never have the opportunity to play in the Super Bowl, there are still plenty of important lessons we can learn from the teams who are gearing up to compete this Sunday. In fact, studying the players and coaches from both teams may just help you in your job search and career. To see how, take a look at these important career lessons from this year’s Super Bowl contenders. Peyton Manning’s lesson on longevity. On Sunday, Peyton Manning will become the oldest quarterback to start the Super Bowl. Manning began his career with the Indianapolis Colts in 1998, and is still playing nearly 20 years later. For an athlete, that’s an astounding feat. His longevity and perseverance are characteristics that make Manning an ideal employee. If you’re looking for a job, highlight any previous jobs you’ve held for a long period of time to showcase your dedication to your employers. If you’re currently in the workforce, consider Manning’s example of perseverance and remember that loyalty is a trait employers love. The Panther’s lesson on competition. The Carolina Panthers have never won a Super Bowl. While that may change this weekend, it remains a driving force that pushes them to excel. There’s no doubt they want to win, just like you want to land that interview or get hired. Last season, the Panthers finished the year with a losing record and now they’re playing for a championship. Take a lesson from the Panthers and polish up all aspects of your job search from your resume to your interview wardrobe. Spend a few moments updating your references and practicing popular interview questions so you’re prepared to take home the job search trophy when your opportunity comes. Quarterbacks’ lesson on generational relationships. When Peyton Manning and Cam Newton start the Super Bowl, they will have the largest age gap (13 years) between two quarterbacks in the history of the NFL. While 13 years isn’t a big difference in the workplace, its impact on the football game can teach us a thing or two about how different generations operate. Refresh Leadership, a blog for business leaders from Express Employment Professionals, recently profiled the five generations that exist in the workforce. Since knowing how to engage with all generations will set you apart from the competition, study the habits and preferences of generations other than your own. The Bronco’s lesson on never giving up. This Super Bowl marks the eighth appearance for the Denver Broncos. Of those trips to the championship game, the team has lost five times–the most of any NFL team. Despite their losses, the Broncos have not given up. Like the Broncos, you will face competition in your job search. And unfortunately, you may also face defeat. If you land an interview and do your best to prove you’re the right candidate for the job, but you don’t get hired, it’s easy to give up. But, you have to keep trying. When you’re faced with a stressful job search, remember to get back in the game and try again. Your next win may be just around the corner. Ron Rivera’s lesson on mentorship. The Panthers coach has been both a player and a leader in the NFL, and he didn’t get there alone. In fact, Rivera has been counseled by one of the game’s greatest coaches, NFL Hall of Fame member John Madden. According to Rivera, Madden’s mentorship style includes celebrating wins and being honest with his advice. If one of the league’s greatest coaches can benefit from a mentor, maybe you can too. In today’s digital age, mentoring is easier than ever before. And the benefits of building positive mentoring relationships can help with both your career and your personal goals. Gary Kubiak’s lesson on improving your skills. You may get knocked down in your job search or career, but it’s important to get back up and keep trying. Sometimes, you may even need to take a break and reassess your path. That’s what happened to Gary Kubiak, who took a year to reevaluate his strategy after it wasn’t leading to wins. To better his job performance, Kubiak recently completed an apprenticeship under John Harbaugh, a Super Bowl-winning coach. Apprenticeships and internships are great ways for you to gain hands-on experience in the field of your choice, improve your skills, and make important networking connections. Going back to school can also improve your chances of landing a job. Peyton Manning’s lesson on teamwork. There’s no doubt quarterbacks are natural leaders of their teams. But, it definitely takes the entire team to win a championship. In a recent interview, Peyton Manning highlighted the importance of teamwork when he said, “I haven’t led the team to the Super Bowl. Our defense has. I’m part of it.” Like Manning, recognizing your team’s input and efforts can help you win big on projects and goals. Even if you feel like you led your team to a win, it’s important to appreciate each contribution they made. Michael Oher’s lesson on discipline. If you watched The Blindside, you probably remember Michael Oher. He was the football player who grew up with a rough childhood before being adopted by a family whose past was unlike his. Oher attended 11 different schools during the first nine years of his education, moved from foster home to foster home, and had to repeat several grades. Now, he’s set to play in his second Super Bowl after winning a championship in 2013 when he was with the Baltimore Ravens. Oher’s determination to rise above his circumstances is a reminder of the importance of self-discipline and goal-setting. Like Oher, you too can overcome your obstacles. If you lack the skills you need for the job, learn them. If you lack experience, gain it. You have to remember not to give up. 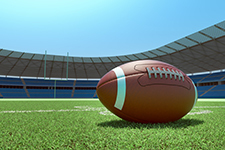 What other lessons can we learn from this year’s Super Bowl teams? Let us know in the comments section below.